Wendy has over 20 years experience in marketing and relationship management. 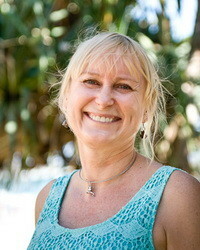 Her career spans Kodak (Australasia) Pty Ltd in Melbourne and ESP Print Management in Brisbane. Wendy is responsible for supporting and communicating with our client base to ensure they are kept up-to-date with all the latest developments. Wendy enjoys being outdoors which includes the beach, gardening and walking the dog. Travel, entertaining and going out with friends are also favorite activities though its hard to find time for them all!